This is a 9 week criterium training plan created by coach Whitney Burdzilauskas from The Fitness Lab. It is a linear progression that taxes all energy systems and is great for those athletes that ride inside during the winter months leading up to spring races. The workouts are based on specificity to the changing demands of a bike race yet organized so that the athlete can follow a progressive build to see results. Instead of using a FTP test on week 1, the plan asks the athlete do a :30 all out effort followed by a 5 minute all out effort which is more specific to a crit racing demands. This effort will be retested at the end of the program. We suggest that the athlete use a 30-60 minute peak power for their FTP inputs to find out percentages for work loads. Our goal is not to improve FTP but to improve the atheltes ability to operate above threshold and to increase the amount of matches the cyclist has to burn. It is ideal for the athlete who needs to accelerate and sprint but still needs a fine tuned aerobic system. Whitney was a processional triathlete and category 2 road racer. 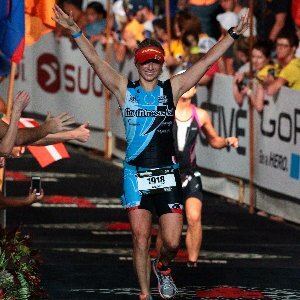 She has completed 20 Ironmans, and qualified for Kona (age group) 3 times - 2013,14,15. She is the owner of The Fitness Lab in Indianapolis, IN and has been coaching since 2011. Her specialties include long course triathlon, criterium/road racing, marathons, strength training and power based training.